UPDATE - Steam Dreams Railtour 'Chinnor To Bournemouth is now cancenlled due to a locomotive failute. Welcome back to our Railtour Rundown. It’s an interesting few days of railtours so let's get to it! There are no railtours until Thursday the 4th April. On Thursday we have a Steam Dreams Railtour ‘CHINNOR TO BOURNEMOUTH & WEYMOUTH’. The trip will hauled by a diesel on the Chinnor & Princes Risborough Railway, and between Weymouth and Southampton in one direction. The Railtour will also have LNER B1 ‘Mayflower’ hauling the tour. 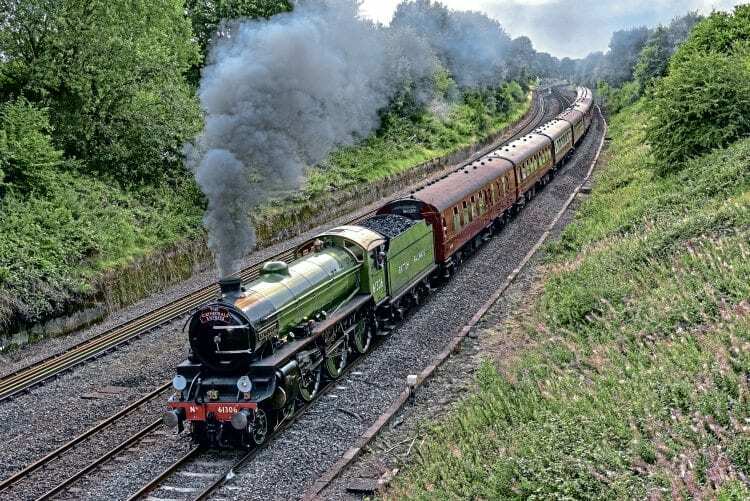 At Wareham there will be a choice to step of the railtour and join the Swanage Railway where the LNER A3 ‘Flying Scotsman’ will be on Static Display at Corfe Castle Station. On Saturday the 6th the Railway Touring Company is running the ‘The Wensleydale Railway’ tour. This tour will be hauled by LMS Jubilee Class 5690 ‘Leander’. The tour goes from Carnforth and to the 22 mile long Wensleydale Railway. The final tour of this week is also on Saturday and is operated by Vintage Trains. The tour is the Cotswold Explorer with No: 7029 ‘Clun Castle’. The tour is hauled by GWR Castle Class No.7029 ‘Clun Castle’. The tour goes from Dorridge and to Oxford.